Buy-now pay later leader, Afterpay Group (ASX:APT) is off to a strong start this week, with its shares up as much as 8.8% this morning. This optimism follows last week’s share price gain of 18.5%. That rally came as the group successfully completed a $117 capital raising to support its international expansion, announced it was entering the UK market via the purchase of Clearpay, and reported its financial year results. On Thursday, the payments company announced that it is expanding into the UK market, buying UK payments business ClearPay — an entity 100% owned by ThinkSmart — that has an established operational footprint in the UK. ClearPay enables customers to purchase items up to £450 in value and make repayments in three interest-free monthly instalments. The move position APT in one of the world’s largest consumer retail markets and follows its successful launch into the US market earlier this year, which logged approximately A$20 million of underlying sales processed in July 2018. APT has been a retail investor favourite over the past year, with retail brokers largely behind the impressive share price rally. This has left many fund managers underweight the stock and — especially now that the company has entered the ASX 200 index — institutional funds are rushing to play catch up and rebalance. Institutions are reported to have taken a large chunk of last week’s capital raising, even with the placement priced at $17.05 — the top end of the placement price range with an underwritten floor price of $15.75 per share. The raising was well received and oversubscribed with “several additional high-quality institutions” welcomed to the register. The group indicated that it will be followed up with APT aiming to raise a further $20 million through a share purchase plan for existing retail investors. While still to report a profit, Afterpay was able to reduce its net loss this year while continuing to drive its international expansion strategy. The company’s net loss reduced by 6% over the year to $9 million. 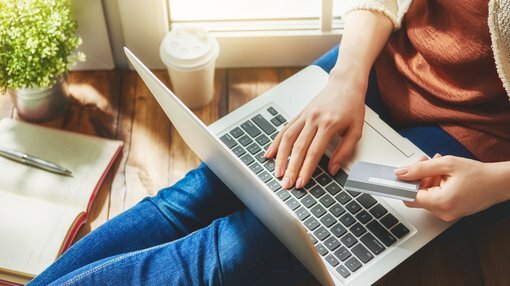 This improvement comes down to a “significant increase” in the number of retailers signing up to its payment platform and greater customer adoption of the platform as a payment method and budget tool. This came as revenue rose by 397% to $113.9 million. Underlying sales were up 289% on the prior financial year, at $2.18 billion, driven by growth across all key demand drivers — new customers, repeat customer activity, new retailers, increased share of checkout. While 95% of payments received didn’t incur a late fee, income earned from late fees did make up almost a quarter its income for the year, with 75.6% coming from commission fees charged to retailers for each sale. As mentioned in the last Finfeed article, one risk to the business is that it will come under greater scrutiny of financial regulators. It currently operates outside of consumer credit laws, but legislation looks likely to change so that late fees would come under greater scrutiny. Interestingly it earns 24% of its income from late fees, a figure that has surged 365% to $28.4 million as reported in its latest annual report last week. One accusation levelled against it is that customers are able to continue to use the system even after they are overdue on a payment. However an Afterpay spokesperson told ABC News: "Customers cannot continue to use the system if they are overdue on any payment. "94 per cent of Afterpay transactions are from returning customers, which means they do not have any overdue amounts. "Afterpay purchases do not affect credit ratings as we do not report to the credit-rating agencies." The Australian Securities and Investment Commission (ASIC) is now looking to close the loophole whereby buy now, pay later companies are not currently covered by the National Credit Code and are therefore unregulated.